Damento (Davis/Sacramento) Juggling Club will be hosting the annual World Juggling Day Celebration at McKinley Park Library on Saturday, June 18 from 2 to 4 p.m. The celebration attracts jugglers from all over the region who come together to celebrate the art of juggling and other performing arts. Free workshops for all ages include introductory ball juggling and spinning, contact juggling, and much more. 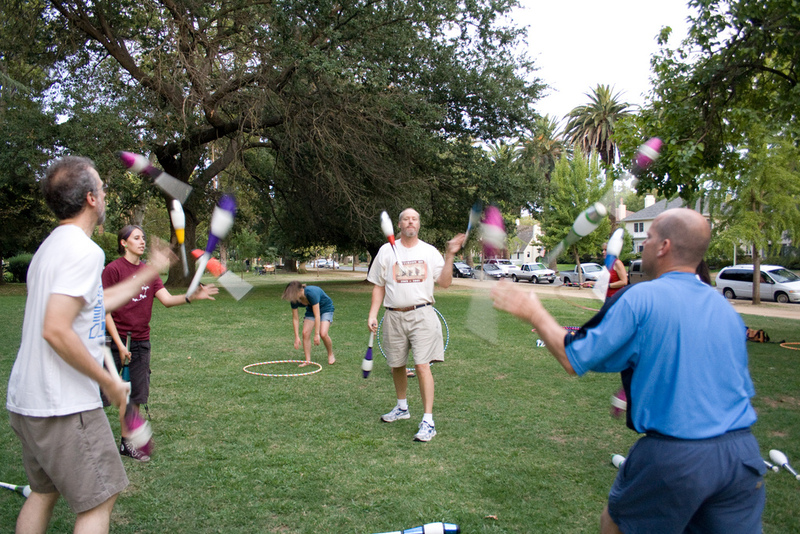 World Juggling Day was created as an annual day of recognition for the hobby, with the intent to teach people how to juggle, to promote juggling or for jugglers to get together and celebrate. No Comment to " Damento Juggling Club to Host World Juggling Day at McKinley Library "